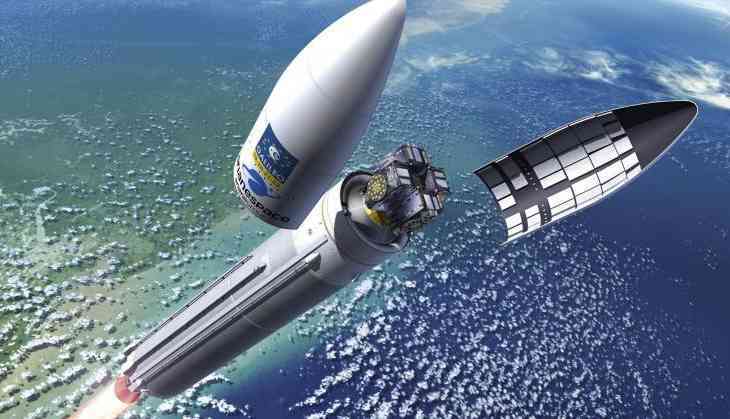 On Thursday, the Airbus gave a warning that Britain might be pushed out of pan-European space. The Airbus has also warned British participation in space programmes which might be critical for space and defence projects. Airbus is one of the world’s biggest communications satellite manufacturers and it claims a quarter of the global market. Tom Enders, Airbus chief executive said, they are trying to find a permanent solution for the participation in all space programmes between Brussels and the UK. He suggested the European Commission to rethink about its proposal to exclude the UK from access to Galileo’s encrypted services or industrial participation after March 2019. A few days back, Theresa May spoke about Britain being excluded from the EU space agency Galileo and Copernicus satellite projects after Brexit which warned the industry executives. Mr Enders said, Britain and the European Commission to “urgently” find a solution to the issue for the safety of the entire region, calling Britain one of only two “serious powers” in Europe. Mr Enders said, “Maintaining and enhancing security and defence ties across Europe is vital for all citizens across the continent. Irrespective of the UK’s membership or not of the EU, the UK is an important part of Europe geographically, economically and culturally, and must play an integral role for our mutual security. The Airbus chief added that Britain needs to “be able to continue in current and future European security and defence programmes to strengthen the successful partnership that already exists”. He added that Britain remaining part of observation satellite programmes would “ensure security and defence ties are strengthened for the benefit of Europe as a whole, during a period of increasing threats to our security and geopolitical instability”. Airbus has a significant portion of its space business in the UK, with about 4,000 staff at its bases in Stevenage and Portsmouth, who work on projects including satellites, communications and the ExoMars programme. The company also works on military project including the Eurofighter Typhoon. The UK has done well out of the Galileo project, launched in 2003: it has funded roughly 12 per cent of the annual budget and received a work share of more than 15 per cent. British companies have about an eighth share of the work on the Galileo satellite project at the moment, with the UK funding a slightly smaller ratio of the cost of the programme.